Hoorah for the weekend almost being here. 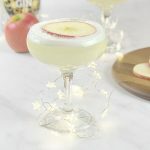 And as we limp towards the end of the week I have the perfect cocktail recipe to take you into the weekend. Because you don’t have to go out to drink cocktails, am I right? 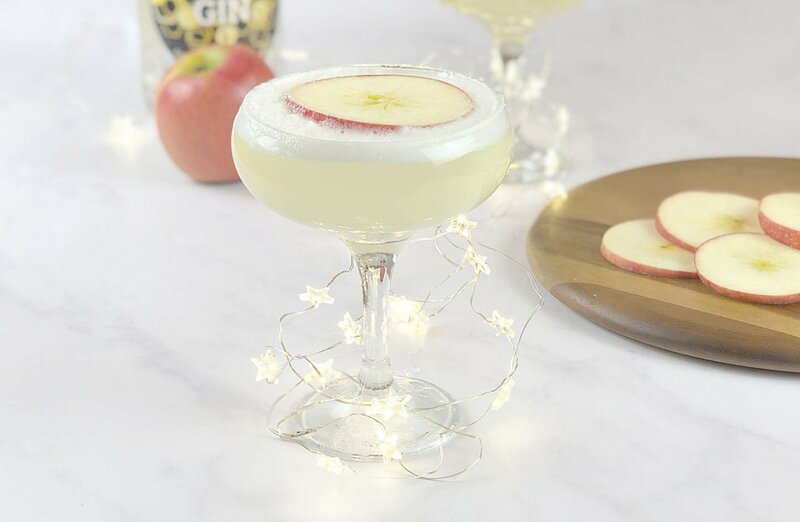 And who doesn’t love a great gin fizz cocktail? 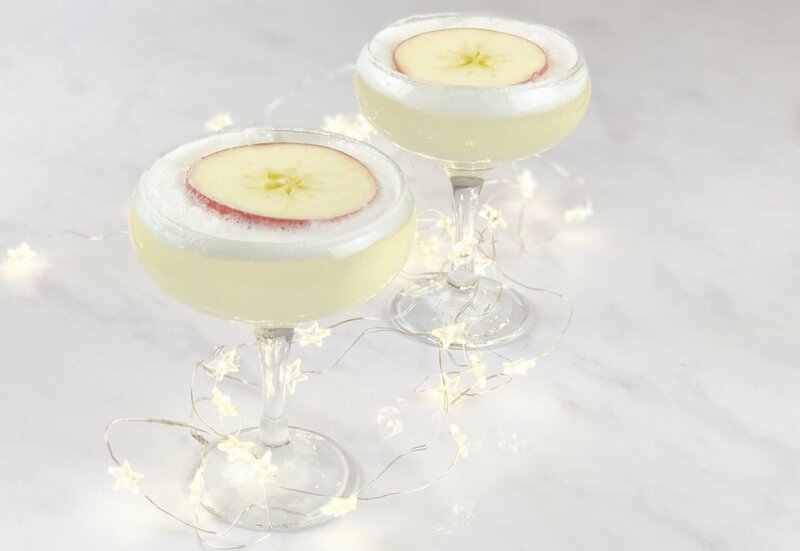 There is nothing better than whipping up a quick cocktail to start off the weekend or wow friends at a dinner party. 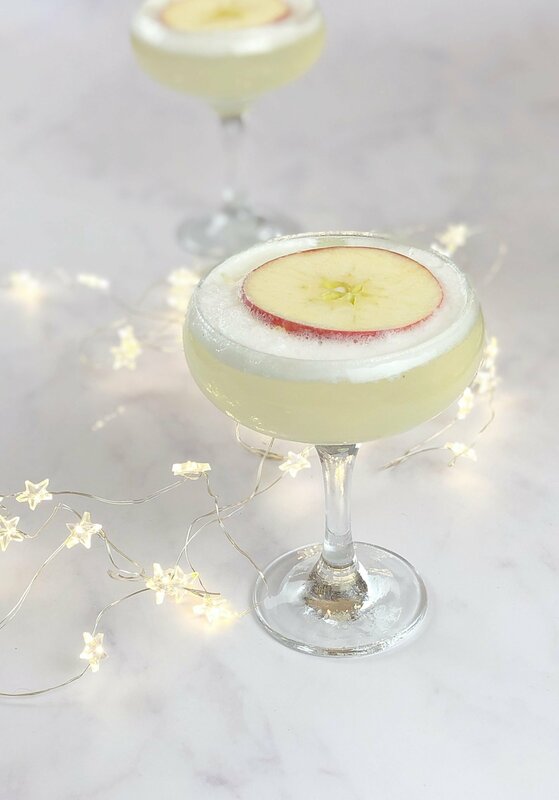 And you don’t need to be a cocktail pro to make this ever so impressive and very delicious Apple and Honey Gin And Prosecco Cocktail With Elderflower Foam using my new favourite gin Batch Apple And Honey January innovations gin. If you love Batch Industrial Strength then you will love Apple and Honey its delicious. Amazing to drink on its own with tonic. But it was also crying out to made into a cheeky cocktail. 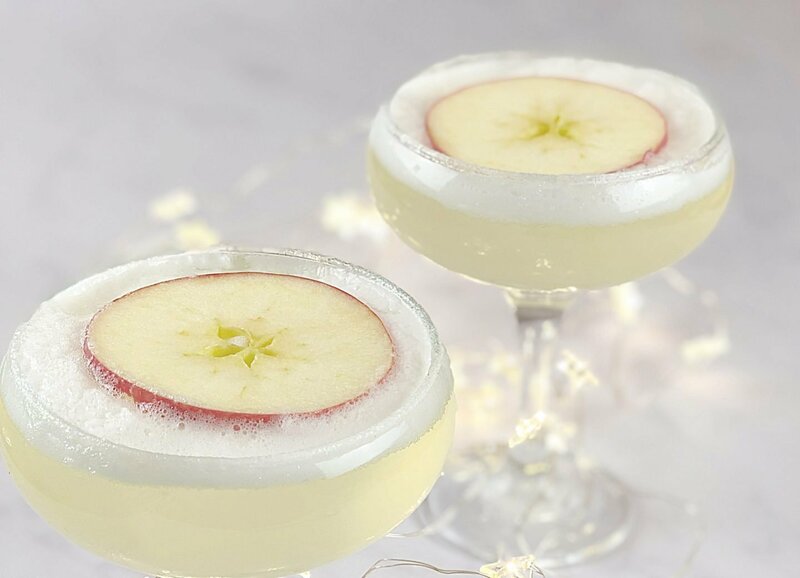 Pour the apple and honey gin and champagne equally between 4 glasses and mix with a stirrer to endure it combines. 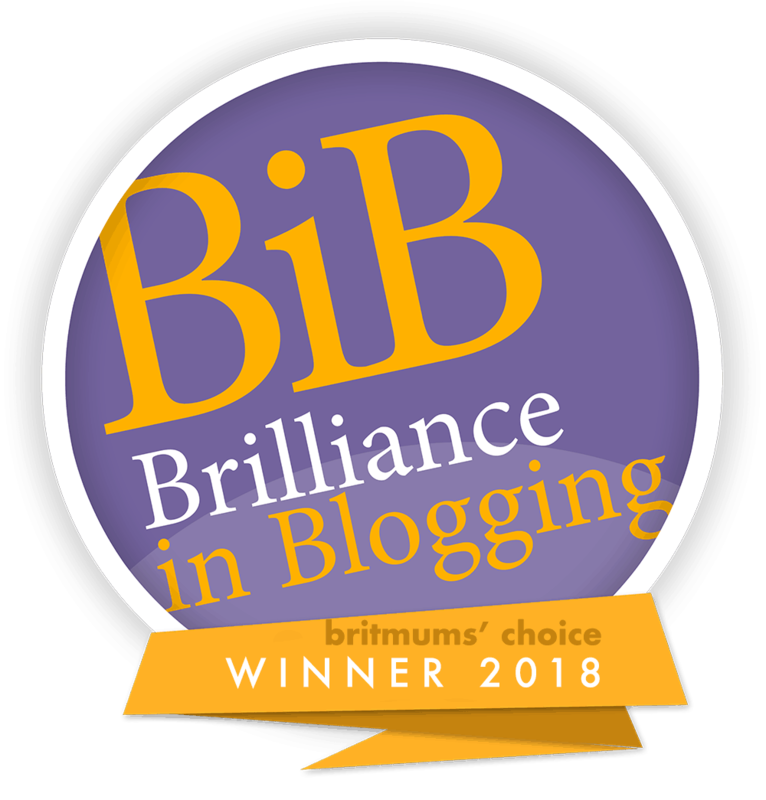 If you fancy trying out innovations then use this link to get £10 of your first month by using the code “Chaos” at the checkout. Disclosure, I pay for my subscription but do get gin points if anyone uses the code. Previous Post How to Make Your Bed More Comfortable And Get A Better Nights Sleep. Sounds delicious and looks stunning! We’re definitely having a go at this at the distillery. Thanks for sharing Sarah.